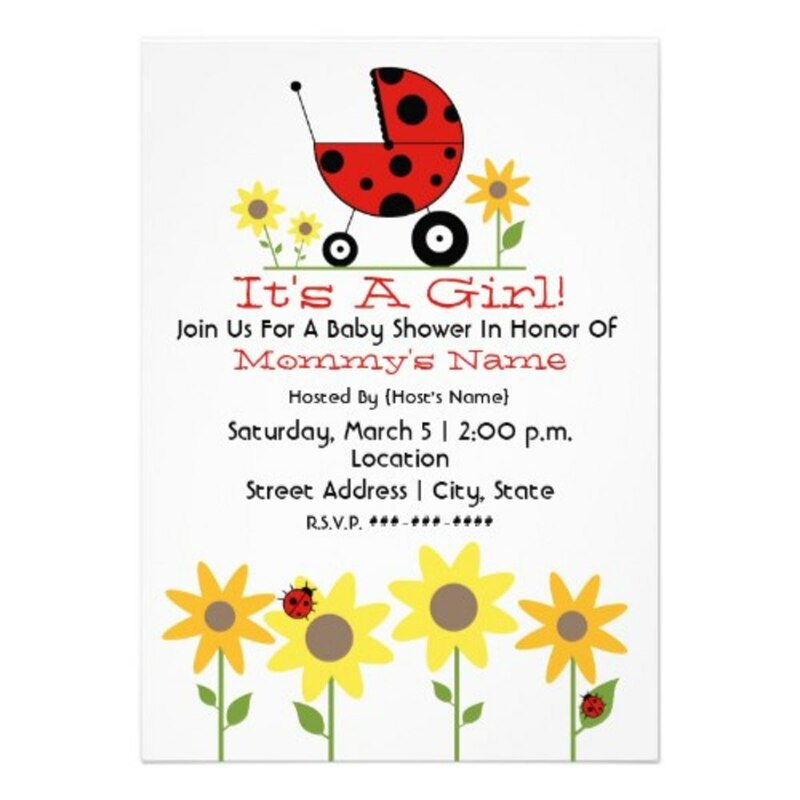 12 TOP Ladybug Baby Shower Invitations! Few could argue, the ladybug is the world's most lovable bug! 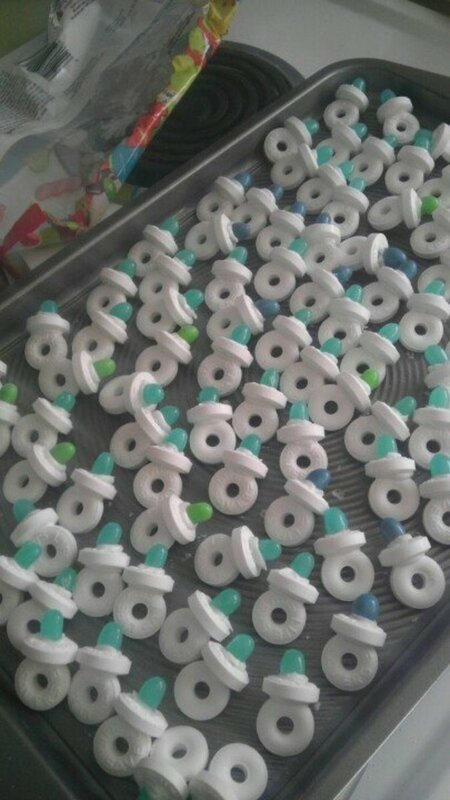 Much like a baby, they're cute, sweet, and gentle... which is why they're such a popular theme for baby showers. A simple but adorable design of little lady bugs atop daisies. The ladybug baby shower invitations feature optional add-ons including thank you cards, address labels, and even gift tags! A great design from a great designer. 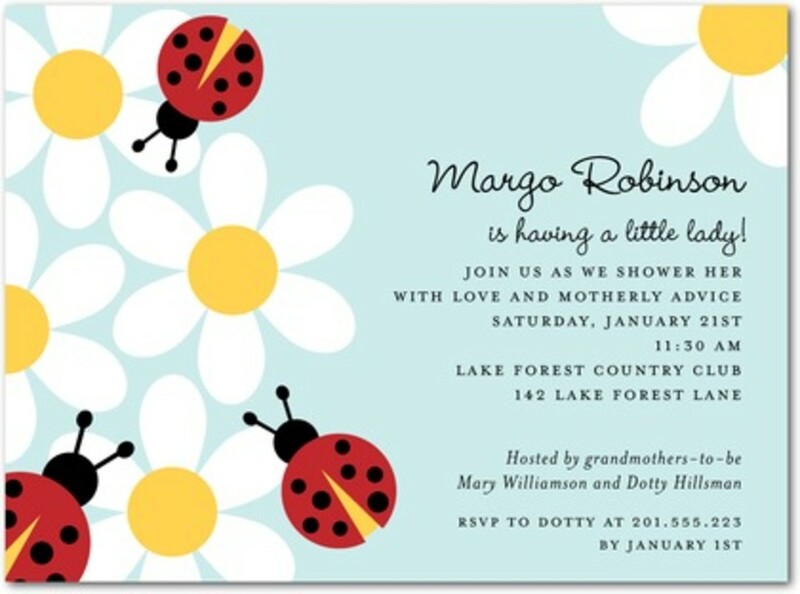 The polka dots and stripes really make these lady bug shower invites stand out. 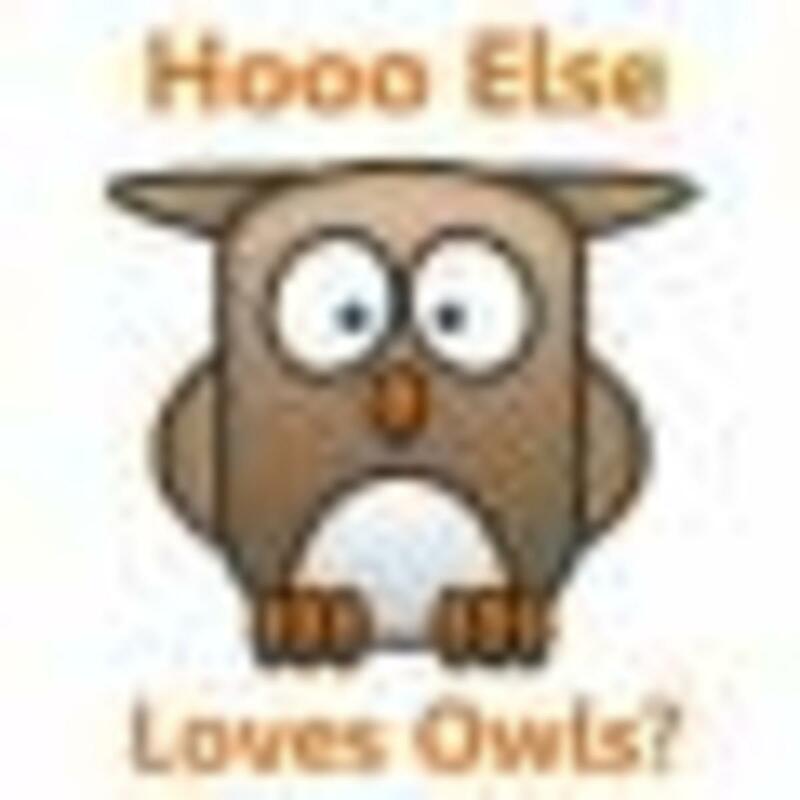 You can personalize them and select from your choice of fonts, paper stocks and more. Whose Shower Are You Planning? Ladybug theme invites, stickers and stamps! 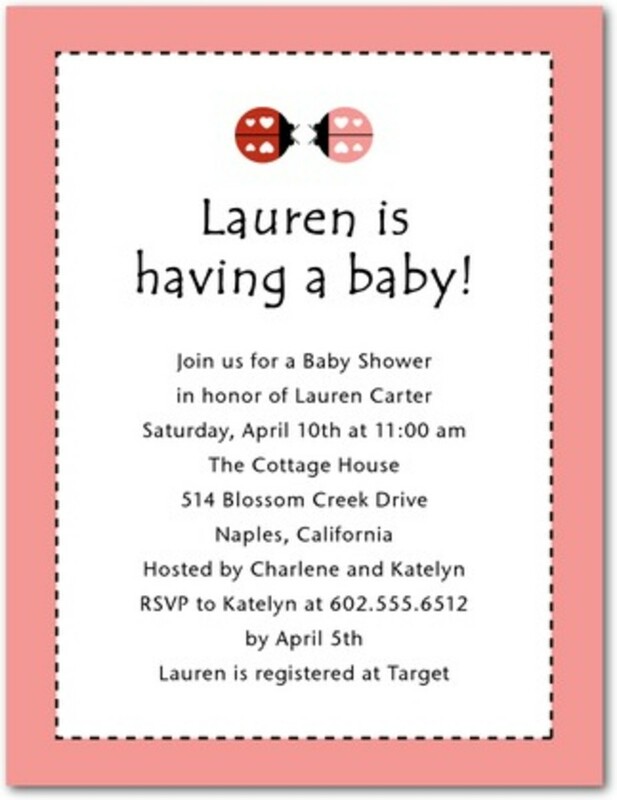 These ladybug shower invitations are just awesome with a design that's clean, modern, and professional. 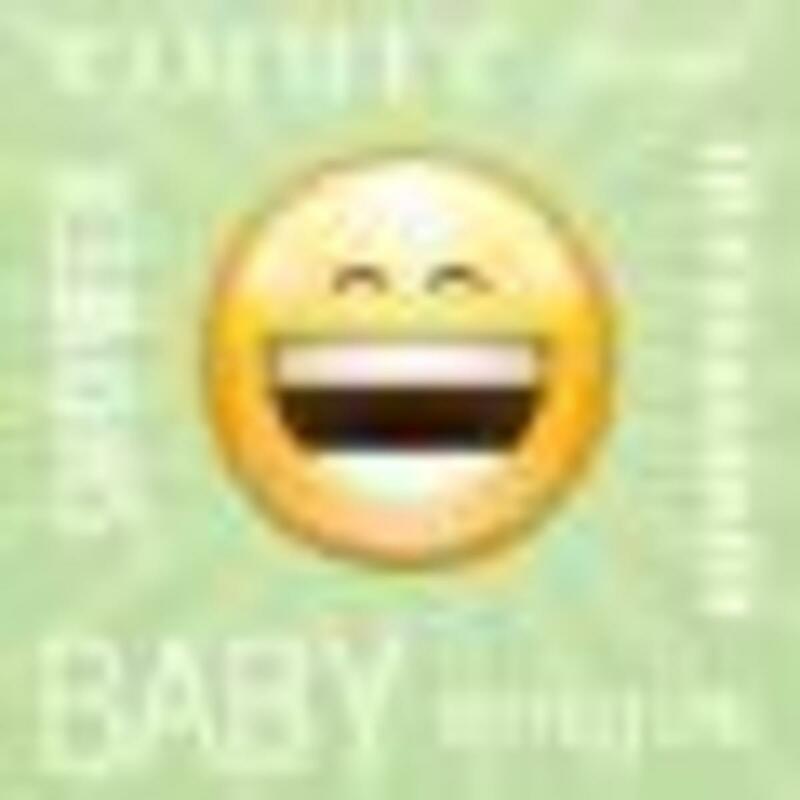 Best of all, there are matching stamps and party favor bag stickers available as well! 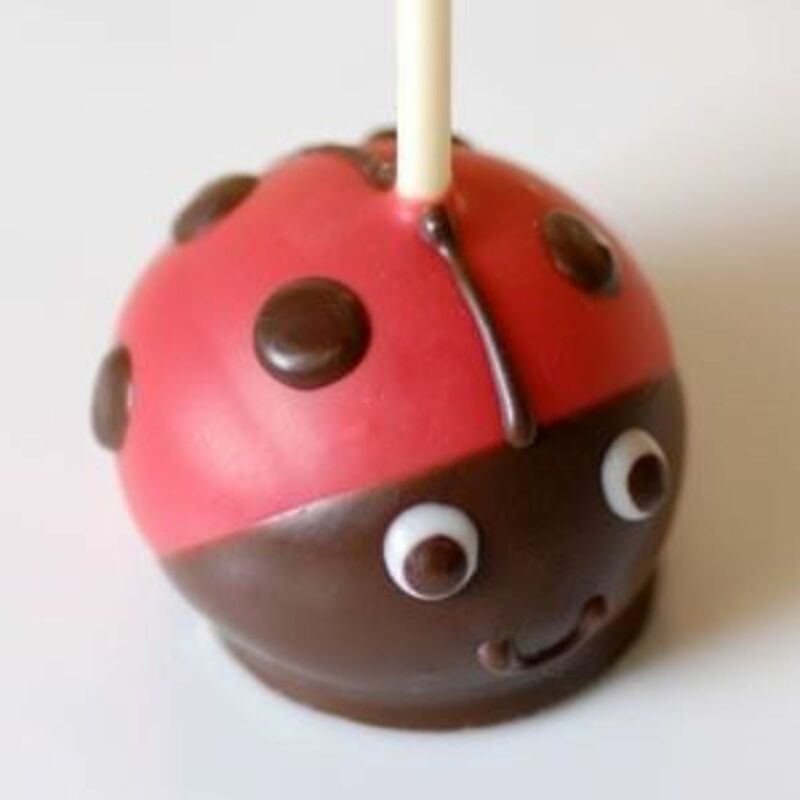 Perfect to round out an entire ladybug baby shower theme. 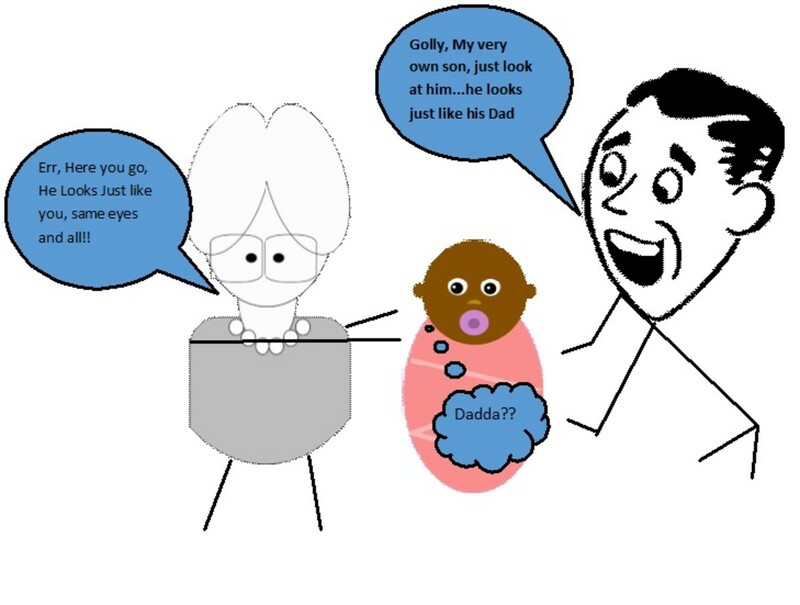 It's a Girl... er, a Lady. 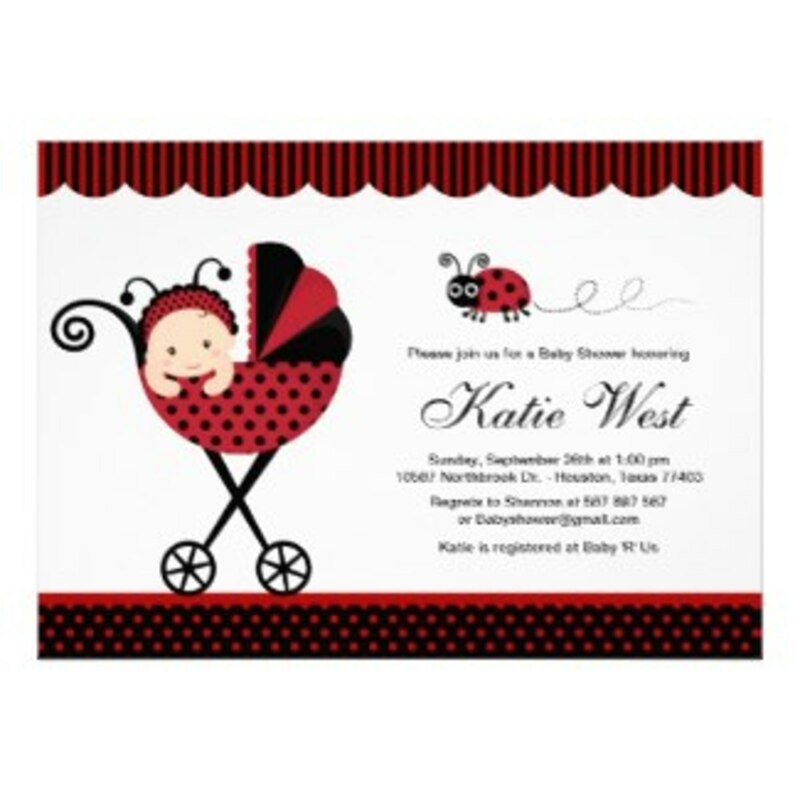 A simple and sweet design with ladybugs, flowers, and a baby carriage. 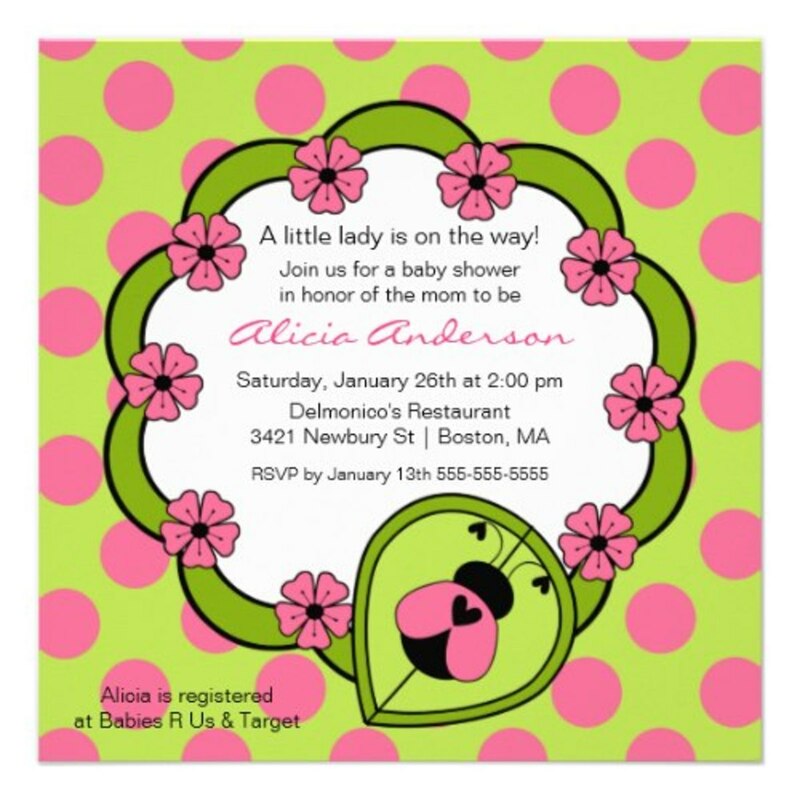 Cheap Ladybug Baby Shower Invitations? A bit less detailed than some of the other options, but super cute nonetheless. With each of these designs are available for under $1 (one for as little as $.59 each! 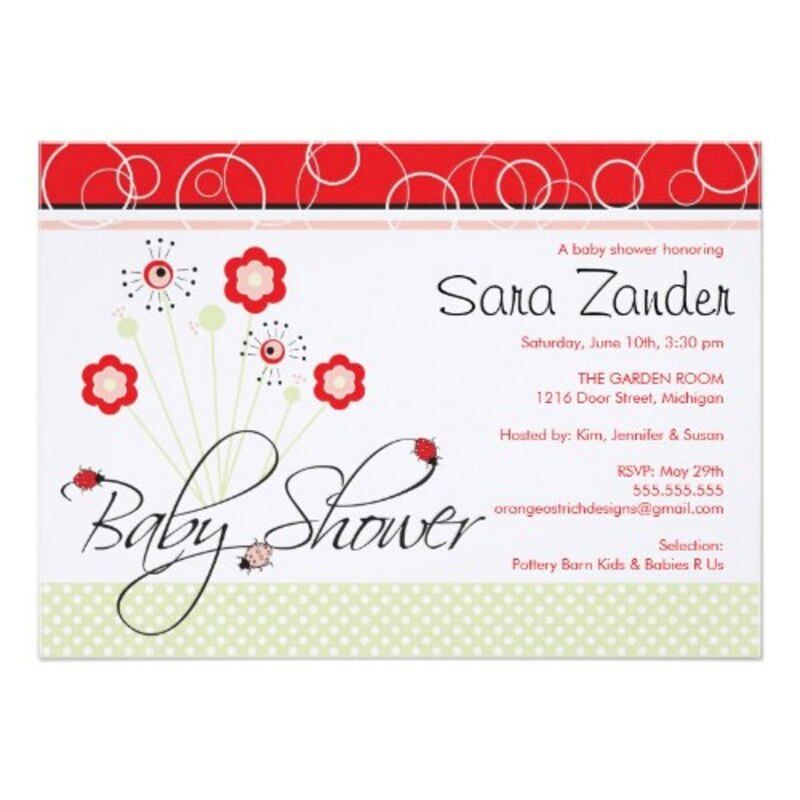 ), these great but cheap baby shower invitations are a super deal that will be well received by your guests. 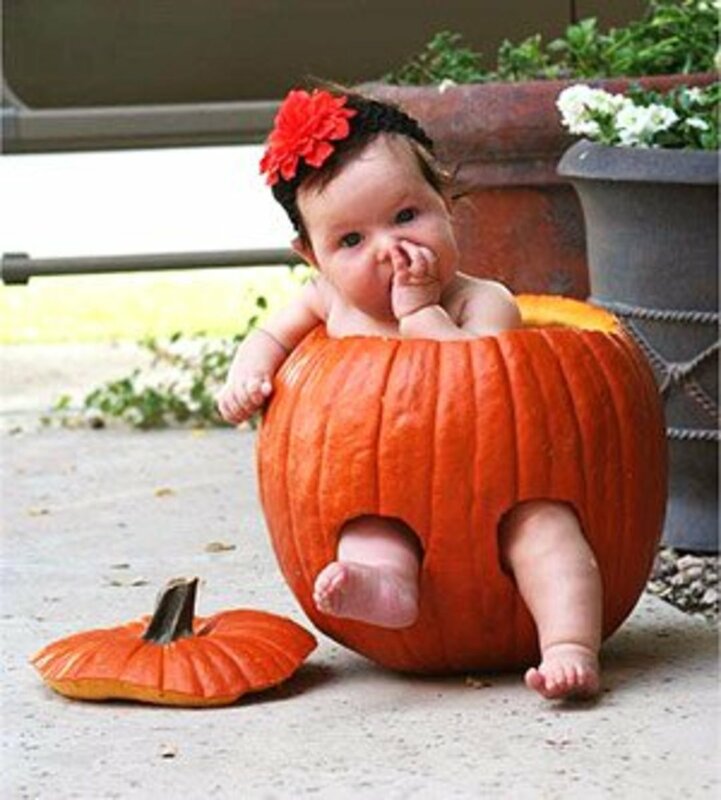 Good mocktails are the key to a great baby shower... and a must for the months leading up to your big day? Pregatinnis features dozens of chic, non-alcholic drinks like the Pumpkin Pie Preggatini, Funky Monkey, Coconut Key Lime Momtini, and the Milfshake plus great tips, pics, and a stemware guide. 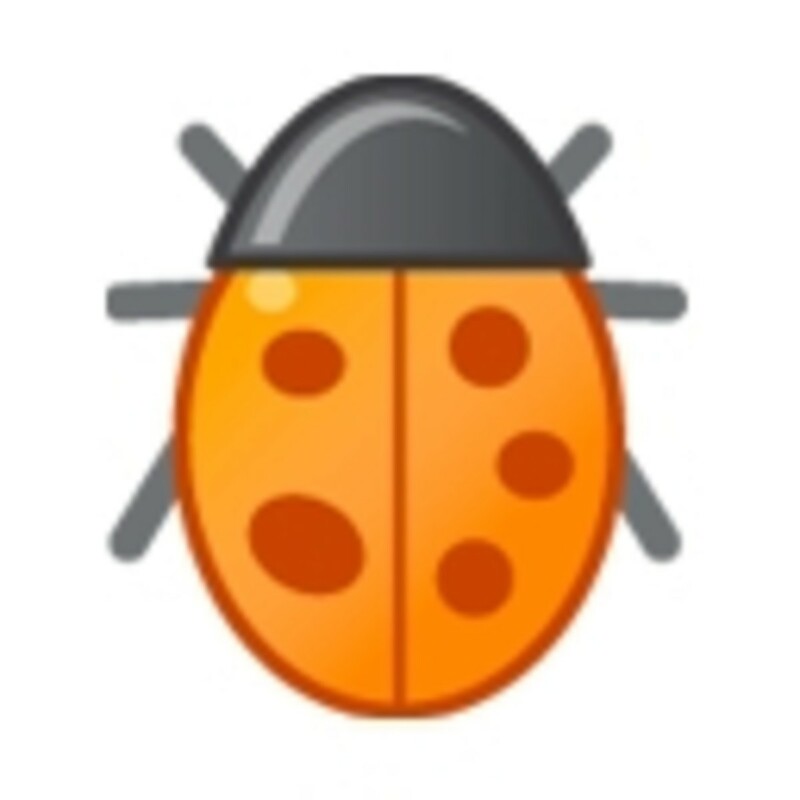 What's better than just ladybugs? 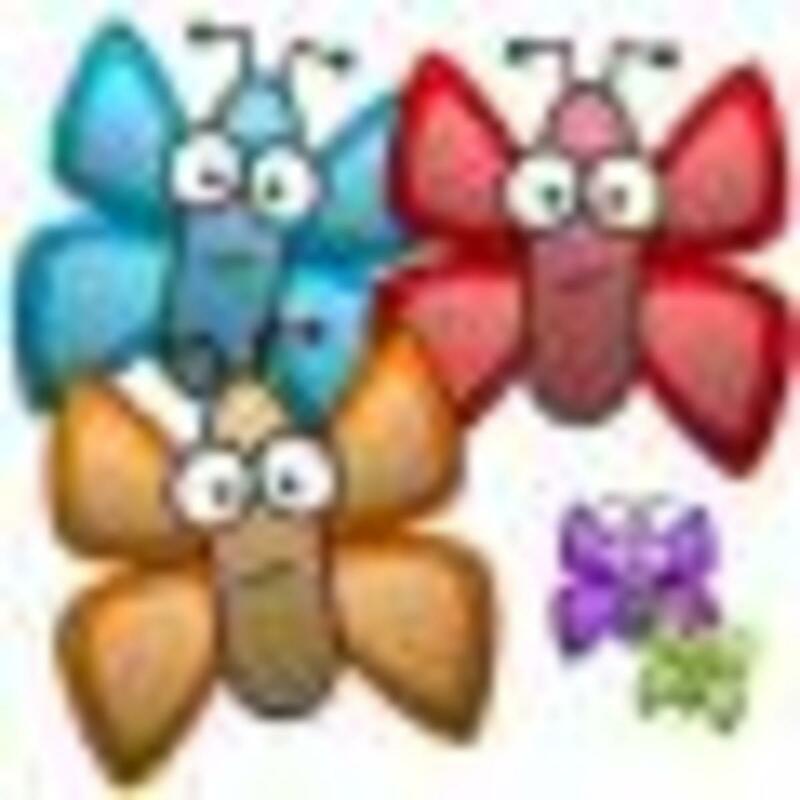 Ladybugs with nature's other beautiful and serene bug - the butterfly. A border that reads "dream, wish, love, smile, dance, sleep, laugh, sing" surrounds a sweet scene. 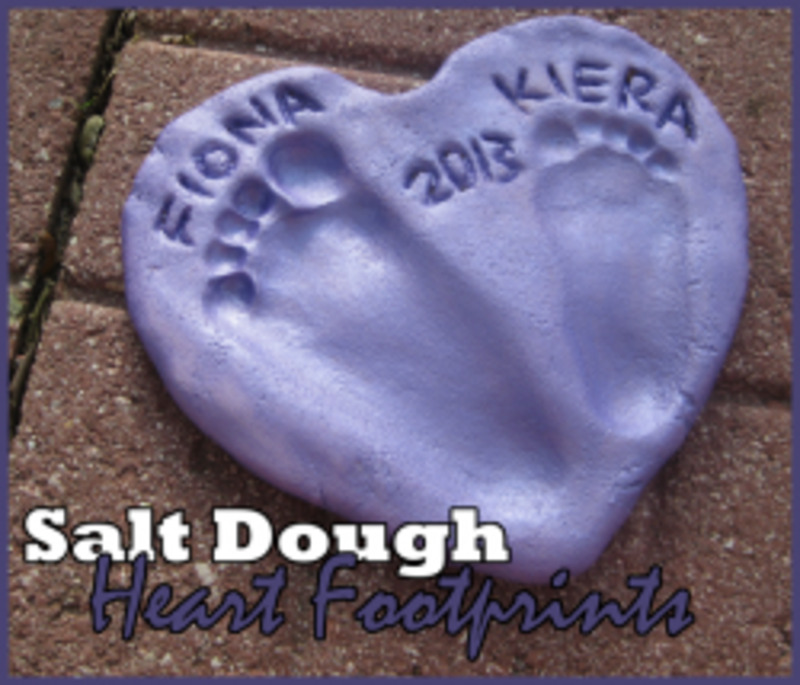 These are available with optional thank yous and address labels! The green and pick color scheme gives this square invitation visual "pop" and makes it stand out from other ladybug shower invites. I also love how the back of the invitation is patterned as well. Great design! 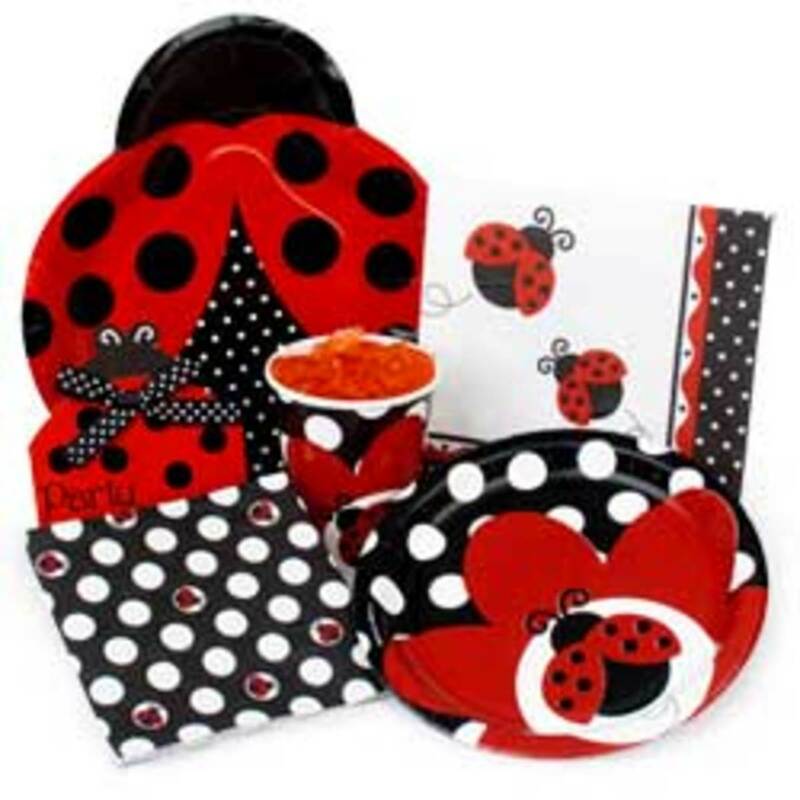 Don't Forget Your Ladybug Shower Supplies! 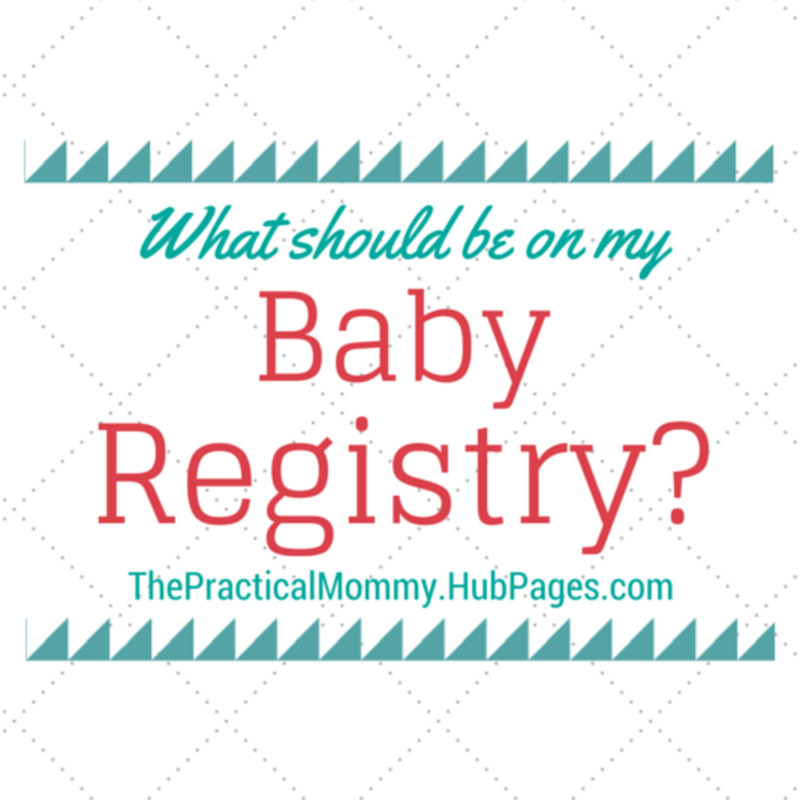 Going with a complete ladybug baby shower theme? More ladybug party accessories available HERE. 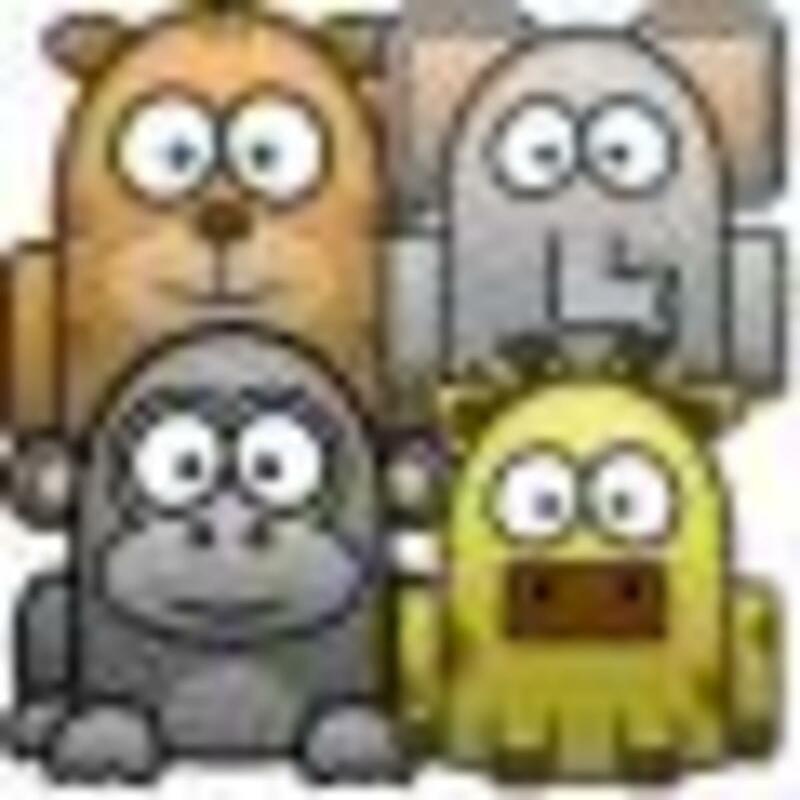 Like, Share, and Comment on this Lens! Great collection! Definitely found a few I like!